In 2011, we began the SuperTruck project, a five-year challenge set before us by the U.S. Department of Energy to create a truck that improves freight efficiency by 50 percent. 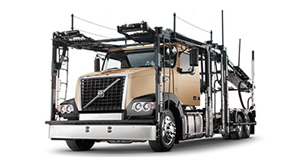 This is the Volvo SuperTruck. 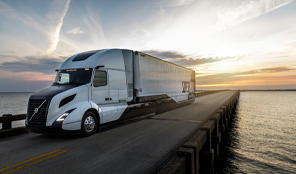 The U.S. Department of Energy’s SuperTruck program is a cost-shared, public-private partnership that promotes research and development to improve the freight-hauling efficiency of heavy-duty Class 8 long-haul tractor-trailer trucks. The program aims to help accelerate the development of advanced efficiency technologies that are not currently available in the market. 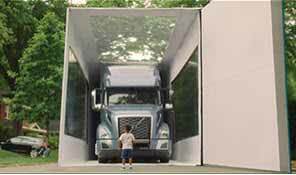 Volvo’s SuperTruck concept was designed and built using a complete vehicle approach, optimizing the tractor, trailer, and powertrain to work together as one highly efficient system. Challenge accepted. 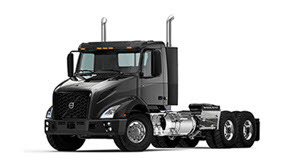 Volvo created an ultra fuel-efficient truck for the Department of Energy (DOE) SuperTruck program. The goal was to dramatically increase freight efficiency and reduce carbon emissionsby pushing the limits of fuel efficiency for Class 8 on-highway tractors. 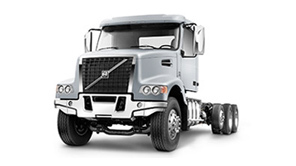 By re-examining every component of the truck, Volvo Trucks was able to reduce the SuperTruck's weight by over 3,200 lbs. The SuperTruck's chassis is almost entirely made of aluminum, only the bolts holding it together are steel. The aluminum chassis is almost half the weight of traditional steel, and has the greatest impact on the vehicle weight. Aerodynamic trailer add-on fairings lower weight and minimize drag for an dramatic reduction in fuel costs. The devices, created by SuperTruck partner Ridge Corp, are built from advanced composite materials for maximum stiffness and durability. The entire roof, hood and side fairings are made from carbon fiber materials with a maximum strength-to-weight ratio. We are simultaneously working to develop new composite materials with similar properties at lower costs, like recycled carbon fiber. SuperTruck contributed to enhancements to the bumper, chassis and roof fairings of VNL series highway tractors beginning in model year 2016. The enhancements help reduce air turbulence around the vehicle exterior and improve airflow under the truck, around tires and the trailer gap. 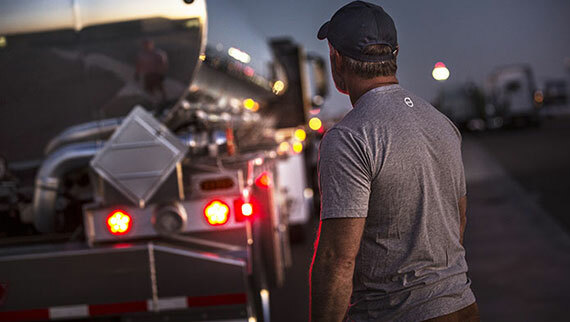 Reducing turbulence and disruptions in airflow from the tractor to the trailer helps improve fuel efficiency. 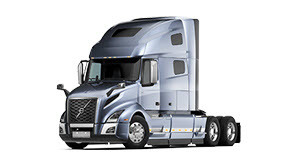 The SuperTruck program enabled Volvo engineers to refine the mechanics and aerodynamics of the new geartrain and turbine, ensuring peak efficiency in the “sweet spot” for Volvo’s integrated powertrain solution. 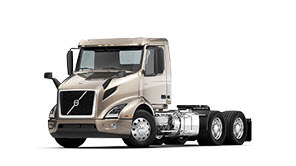 A new turbo compounding system was designed to recover this normally wasted energy on the 2017 Volvo D13 with Turbo Compound, helping boost fuel efficiency by up to 6.5 percent. The patented wave piston, working in combination with Volvo’s other engine enhancements, delivers improved fuel efficiency of up to 2.2 percent for the D11 and 2.5 percent for the D13. Learn how the D13 engine will save you fuel costs. Read more about the fuel efficiency of our D11 engine. A proven common-rail fuel injection system was adapted to Volvo’s 2017 D11 and D13 engines. It enables a higher injection pressure, which improves combustion, and allows for finer control of the injection event. Read more about the advanced technology in Volvo's powertrain.